A Last Minute Valentine Toast to Love! Okay calm down! It is the afternoon of Valentine’s Day and you haven’t planned anything yet. It’s never too late to put something together. Get a pen and paper and make your list. Your next stop is to your nearest donut shop, to get plain cake donuts. You may want to see if you can pick up flowers somewhere too. However, if you are going for the puppy dog, “I forgot” appeal, pick flowers from your yard or somebody else’s. Now that you are home, get out whatever oven safe pan you have and grease it. If you bought a chocolate bar, chop it up and put it in the bottom of the pan. For the chips just pour them in and melt them in a 325 degree oven. Give them a little stir every so often. Melting should take about 10 minutes. When the chocolate is melted, pour the mini marshmallows over top and put them back in the oven, except under the broiler. Watch them closely and let them get to a nice toasted brown. 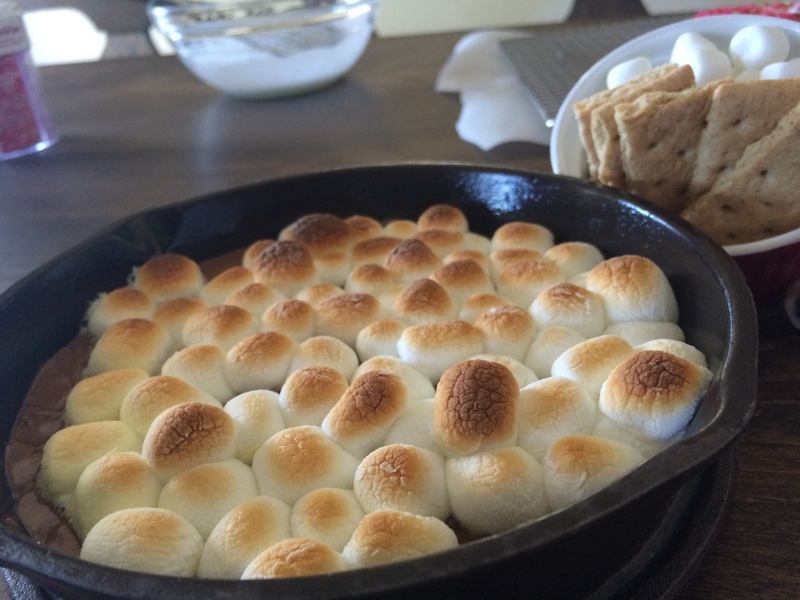 Remove from the oven and serve with graham crackers, broken into sections, as a dip. If you have strawberries put these out with the dip to add color and romance. You’ve got the first great surprise for your Valentine. For another cute gift, lets decorate donuts! Mix together ¾ cup powdered sugar, sifted, and 1 Tablespoon whole milk. You can add more milk, a teaspoon at a time, if you feel it is too thick. Just be careful, you don’t want it to thin out too much. You can also double the recipe if you need more. I like to leave the glaze white. You can add a couple drops of red food coloring, if you prefer. 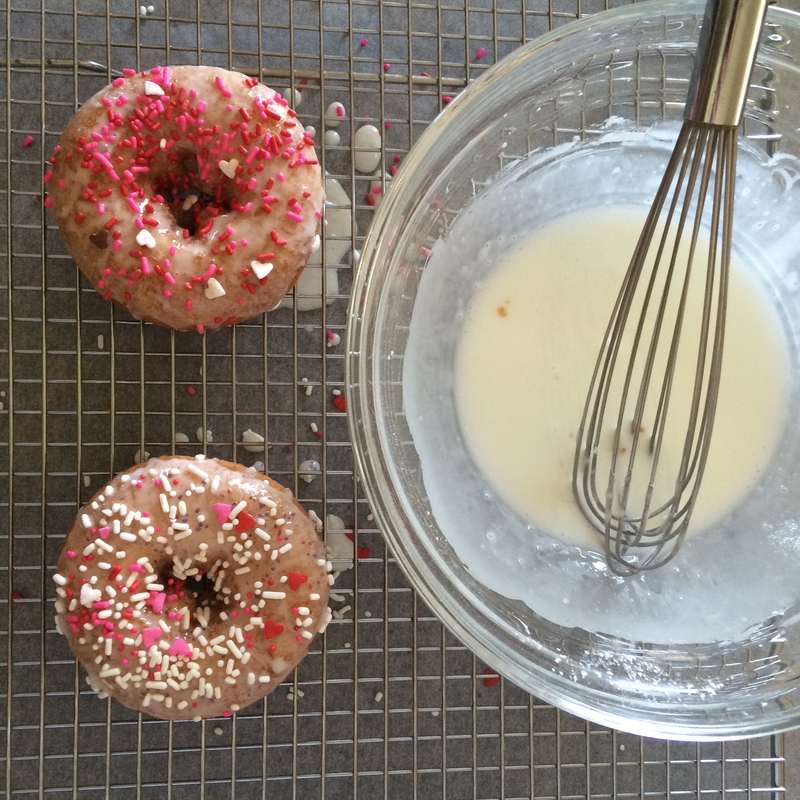 Dip the donuts, in a swirl motion, in the glaze and place on a rack to catch drips. 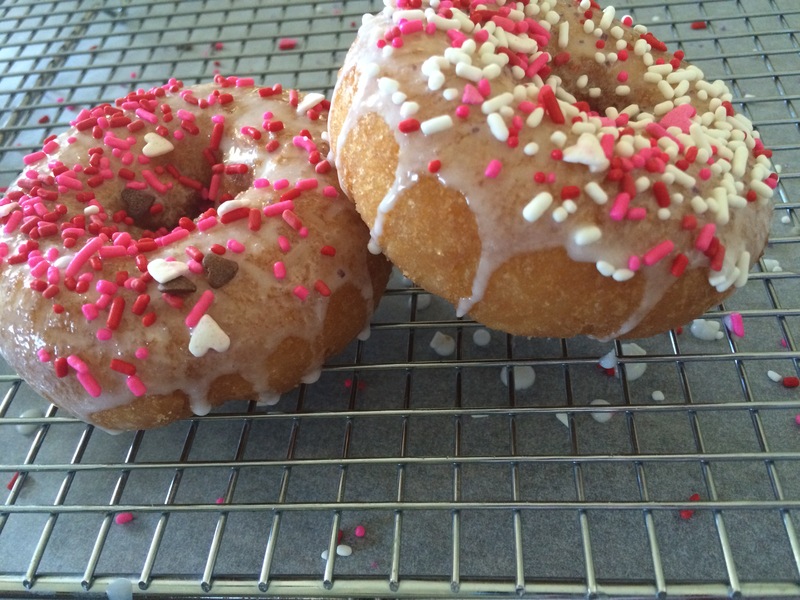 While the donuts are still damp, sprinkle with your red decorations and let dry completely. I think it’s cute to package them in some sort of craft box. You can get them at Michael’s. You can even wrap an open shoebox in valentine paper. Just make it your personal creation. You are all set! Have a fabulous day or evening! And don’t forget to toast to love! XO.